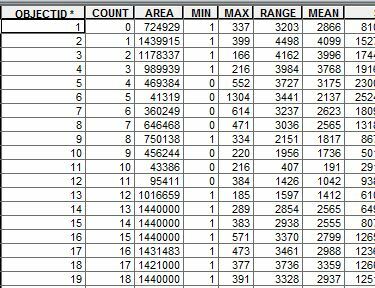 I used the zonal statistics as table tool in ArcGIS10.4 to calculate SRTM, the in_zone is a gridded shapefile, the in_value_Raster is the SRTM extracted for the region as in the image (90m x90m). The result table gave me min values of 1 and 0, which does not match the input raster at all. I would like to know what might be causing this problem and how to solve it. Ignore NoData option was checked. 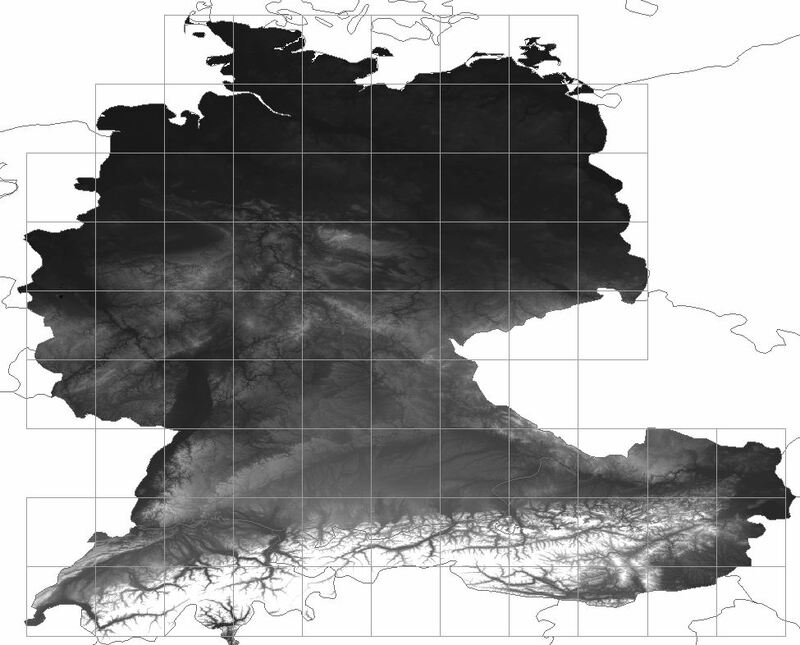 Both input shapefile and raster have the same spatial reference system:WGS84. I also converted them into UTM but the min value still didnt make any sense. This is a bug, let's hope that it will solved soon because you loose the median column. The Feature ID header is missing then all column header are shifhted one step left. I did some testing and it appears that when you use your 'OBJECTID' as your zonal field, it cant add it as a column in the output so it causes a miss-match between the columns and the headers (column names). The workaround is to use a different column as your zonal field in your input and your columns should line up in your output. 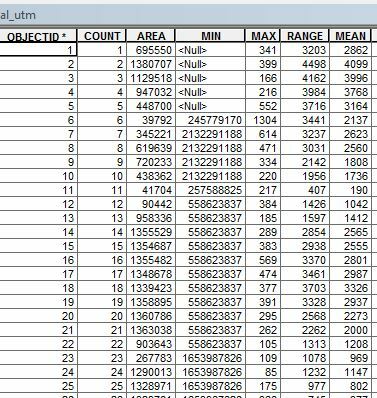 I ran the zonal statistics as table again with all the setting identical to the previous try on arcGIS 10.3x and got the correct output with all the desired columns (Image as below). Not the answer you're looking for? Browse other questions tagged arcgis-desktop zonal-statistics srtm arcgis-10.4 or ask your own question.